If you’re a planner, photographer, or florist, many of your services end up being pretty focused on the bride, right? But what about the groom? How can you style his suit or tuxedo to help him be his most dapper self on the big day? Over the past several years, I’ve been asked this question quite frequently by my vendor friends. 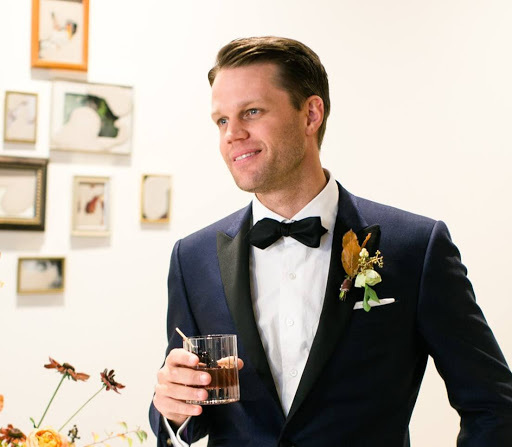 Fortunately, there are a handful of quick and easy things you can do to style your grooms. I have collected three of my most practical tips for this article. They won’t take much time, but they will have a big impact on your grooms’ style. And the whole idea here is to help your grooms look their best. Things like misaligned pocket squares and unbuttoned jackets aren’t just poor menswear etiquette, but often end up as unwanted distractions in the photos. For many grooms, their wedding is going to be the first time that they will have ever worn a pocket square. Therefore, they don’t often know what to do with it. While there are certainly many ways to fold a pocket square, I’ve always felt that men put too much emphasis on trying to fold it “the right way.” Personally, I only use three styles, and I think that each one is appropriate for a wedding. This is the most traditional style and often worn with black tie attire. Your groom will probably already have it folded and in his pocket, so it’s just a matter of adjusting it. Here’s what you want to see: ¼” - ½” showing above the pocket and aligned to it. 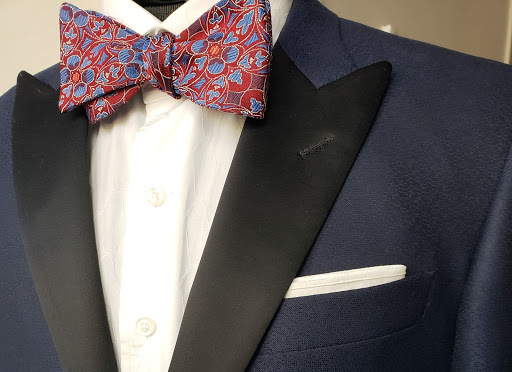 The reason this is important, is that when combined with the little bit of shirt cuff extending beyond the jacket sleeve, your groom creates a “framing effect” with the white cotton against the fabric of his suit or tuxedo. This is partly what helps us guys look so good in our suits! By the way, if you do need to help the groom or one of his men to fold it in the square style, don’t worry about folding it “the right way” and just find a method that will end up in a rectangle and will fit in the chest pocket. These two styles are a little more festive than the traditional square fold. Personally, I feel like the puff is best for the ceremony while the reverse puff is ideal for the reception when it’s party time! Here’s a video that will show you how to do each one. To style either one of these folds, all that you’re really going to do is ensure that the pocket square objectively looks nice. Just use your best judgement. Again, there is no necessarily right or wrong way, just what looks best to you and the groom. I think that the most important thing is to make sure that the pocket square isn’t so big that it ends up looking distracting. And given the proximity to the boutonniere, there can already be a lot going on, so if anything, you’re probably going to want to push it down into the pocket a little bit. This is an easy win. Simply having your groom button his wedding suit during the ceremony and photos will make a huge difference. While it may seem obvious, I’ve seen many wedding photos where the groom is wearing his jacket wide open. It’s just good etiquette. When wearing suits or sport coats, men should always button the jacket closed when standing and unbutton while seated. A notable exception would be a double breasted suit or tuxedo, which should always remain buttoned. Modern suits are tailored with the intent that they will be worn buttoned. Therefore, this is how the groom will look his best. I’ve been fortunate to have worked with some very talented florists at styled shoots over the past several years. Something that has rubbed off on me is paying careful attention to the alignment of that boutonniere. As you may or may not know, these things have a tendency to wander around a bit. Among the hustle and bustle of the wedding day and getting everyone organized for photos, the relative subtle misalignment of a boutonniere can be tough to spot if you’re not out looking for it. But here’s what I’d recommend: just check to ensure that the main stem of the bout is pointing towards the front jacket button. Although it may depend on the actual design of the bout, this rule of thumb will help to ensure that it doesn’t break the sartorial lines that the suit or tuxedo creates (the lines of the lapel and neckwear all work in unison to accentuate the male form). By the way, I think that bouts fastened with magnets are easier to adjust than those with pins. And bouts with magnets also carry the added benefit of not needing to put holes in your suit cloth of tuxedo satin! After working with some of Colorado’s finest planners and wedding photographers these past several years, it’s become clear that when the grooms’ style is on point, he is going to look pretty sharp standing next to his partner. And just being on the lookout for one or two of these common sartorial flubs will carry a big impact on the photos and in some cases, your grooms’ experience. After all, when us guys know that we look good, we feel good! Ryan co-founded Bespoke Edge with his father and brother in 2012. Today, BE is Colorado’s leading custom clothier for both grooms and businessmen. He write regularly on the BE blog, LinkedIn, has a style VLOG on YouTube, and curates a daily style tip for men on Alexa. The Bespoke Edge team offers professional styling services, including day-of. Comments on "3 Quick and Easy Ways to Style Your Grooms"